DAVID WRITES: As you may know, since leaving No10 and Cabinet Office, I’ve spent some time revisiting the last 25 years of data on value change, the social and economic challenges (and opportunities) we face, and thinking about the policy implications. The results are published in The Hidden Wealth of Nations, out in the beginning of December. I thought I’d set out the bones of the argument. Perhaps it will come in handy in an awkward pause in conversation at a Christmas party. I certainly found it interesting to revisit some of the big questions that in government there’s rarely the luxury of time to examine very deeply, rolling up my statistical sleeves to wade into data sets and literatures around public concerns, well-being, social policy, inequality and developments in government itself. I should stress that this has been a personal project done alongside the set-up of the Institute for Government, but I have nonetheless been grateful to my colleagues for indulging intermittent and excited reflections on my latest analysis. It is also, as the title implies, ultimately an optimistic vision. Prosperity and well-being. The book starts by revisiting Easterlin’s famous paradox – that wealthy nations are much happier than poor nations, and yet decades of growth do not seem to have boosted the happiness within them. I argue that this occurs because a bundle of deeply rooted social characteristics of countries – values, institutions and ways of relating to each other – independently drive both the ability of countries to take advantage of new economic opportunities (hence economic growth) and their citizens’ happiness. This gives us important insights into how we can both boost growth and increase well-being – and strongly implies that they are not incompatible. In many areas, the implications of the well-being literature simply confirm existing lines of policy, but there are some areas where it pulls you in a different direction. I also suggest one or two areas where economic policy has missed important tricks, such as the promotion of information as a public good. Not getting along. The focus of the book then shifts to rising public fears in the UK and a clutch of other countries of other people in recent years – concerns around crime, immigration and terror. There is a detailed analysis of the empirical roots of these concerns, including why they only seem to have affected a minority of countries, and an examination of what evidence-based policy responses might look like. The evidence base is, in many areas, in great tension with the media headlines and public instincts, at least within the Anglo-Saxon world. Virtue. These public concerns form the background to the pivotal argument of the book: how can societies, communities and policymakers support ‘virtue’ in their citizens, as opposed to simply stamping out bads? Across nations, while traditional religious beliefs have only marginally altered, their influence on our other attitudes has waned dramatically – though with the notable exception of North America. Yet there’s little evidence for ‘moral decline’. And within nations moral and social attitudes have become more nationally distinctive. 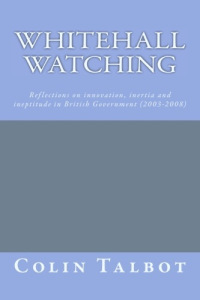 Drawing heavily on studies of how citizens spend their time, the book concludes that policy has systematically underestimated the importance of what Offer calls the ‘economy of regard’ – the parallel economy of everyday life within which we help each other acts of consideration, care and reciprocity, and a key part of the Hidden Wealth of Nations. Echoing the analysis on prosperity and well-being, the policy implications are drawn out, including the intriguing case for community-backed complementary currencies to oil the works of the economy of regard just as conventional dollars and pounds oil the ‘real economy’. Inequality and fairness. Levels of poverty, fairness and inequality are defining characteristics of many nations, often representing the darker side of Hidden Wealth with major consequences for citizens. Reducing poverty and inequality was a major ambition of the Labour project, and though the growth of inequality was halted it was not reversed despite twelve years of effort. One reason is that inequality has its roots in a far wider range of factors than income or education. At the same time, though the public does not like inequality, there is little appetite for more conventional policy responses and most countries are broadly accepting of their situation, whatever their absolute level of inequality. It is suggested that, in the long-term, inequality can be reduced with the help of ‘affiliative welfare’ – an attack on a broader range of capital inequalities harnessing the desire to help those close to us. Power and governance. The last chapter seeks to bust a number of common myths about shifts in political trust and confidence, but suggests that there are other underlying trends that are a source of deeper concern. It then offers thoughts and cross-national evidence on how governance will need to evolve in relation to the division of power, the practical provision of public services, and its re-emerging role in relation to behaviour change in the decade to come. The book finally concludes with a suggested top-10 list of policy proposals for current, or future, Prime Ministers.